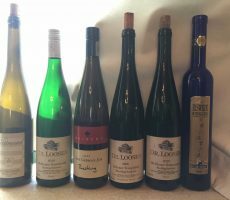 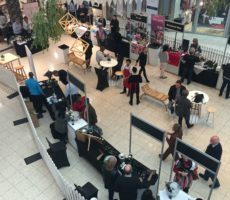 The Wacky Wine Weekend is always something that I plan with near military precision. 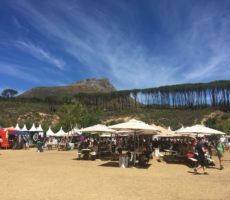 I aim, for example to visit the most popular estates and events on the Thursday, the first festival day, when there are least visitors. 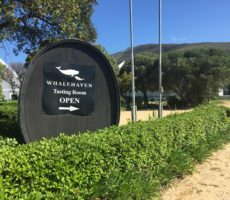 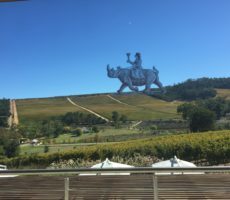 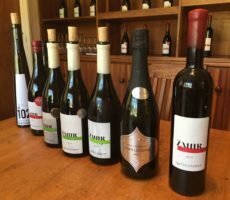 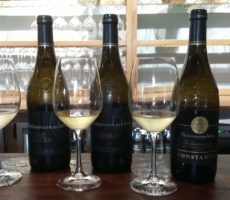 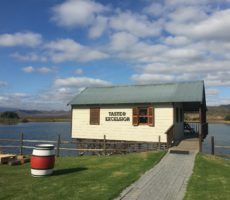 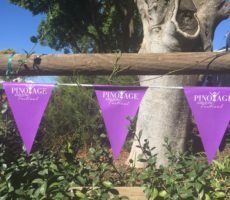 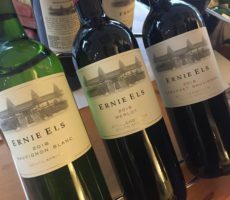 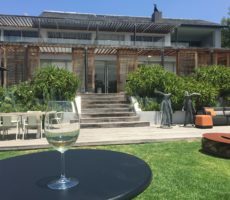 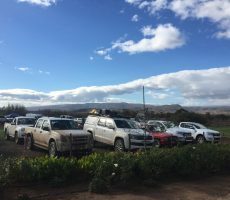 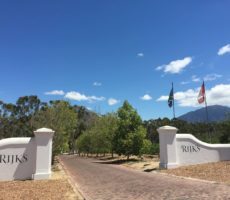 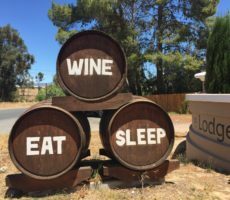 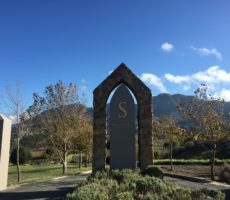 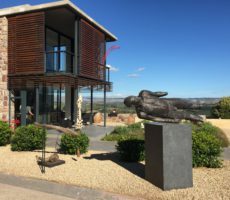 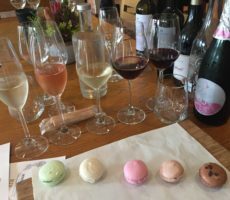 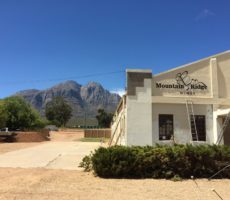 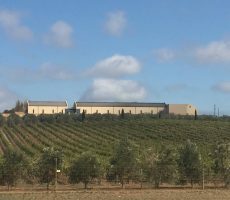 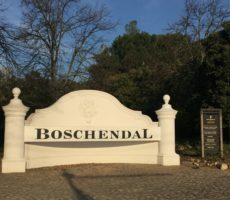 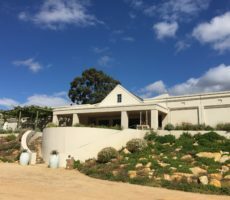 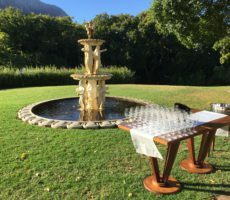 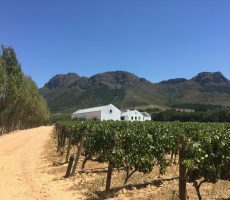 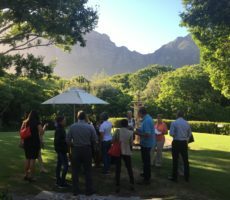 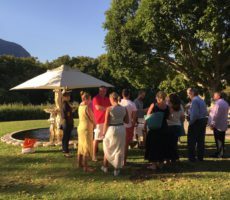 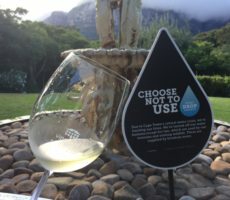 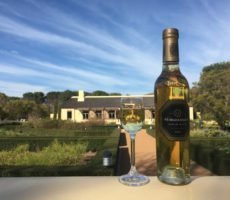 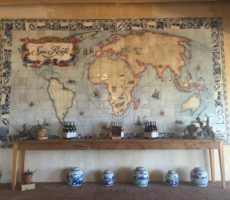 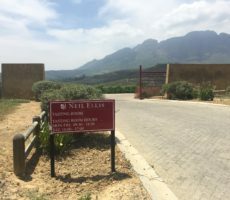 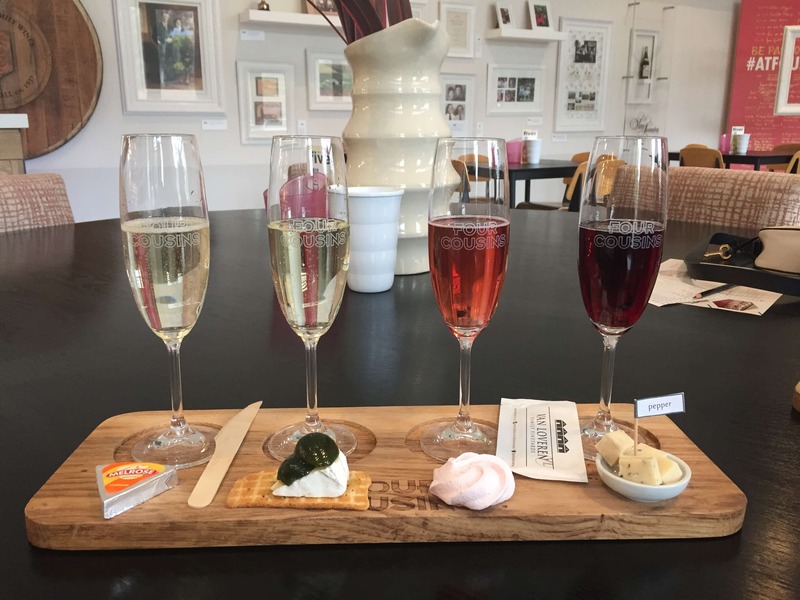 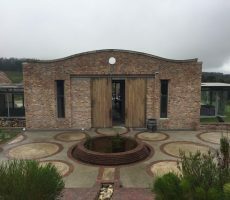 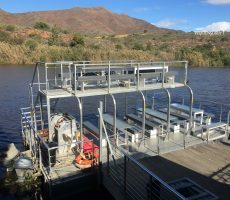 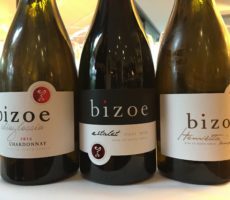 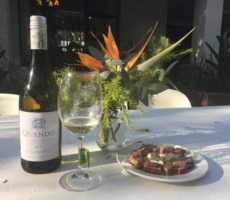 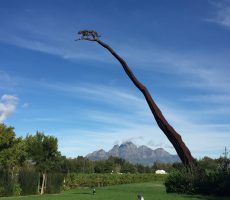 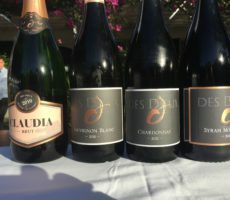 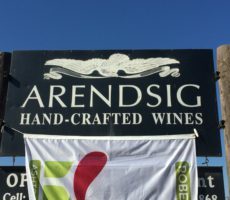 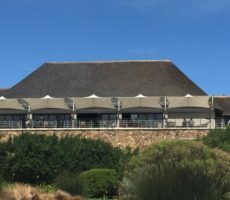 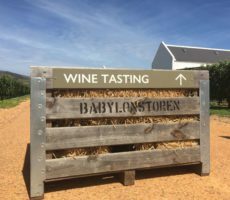 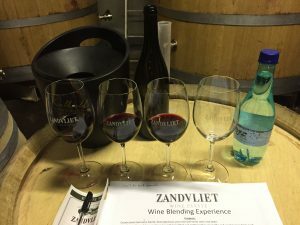 This, I headed North across the Breede River valley from Esona to be at the Zandvliet Wine Estate before 2.00pm and in time for the wine blending experience. 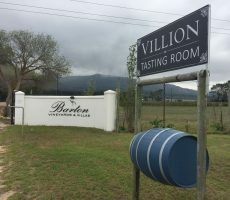 I knew from last year’s blending at Excelsior that this would be busy and so I arrived in good time. 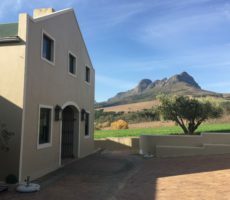 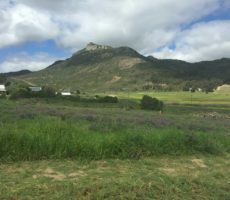 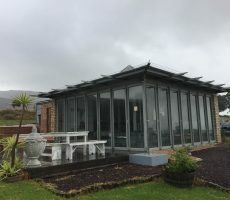 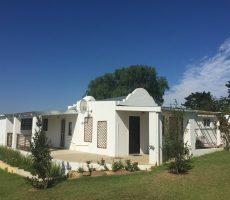 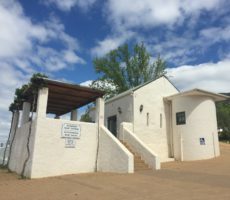 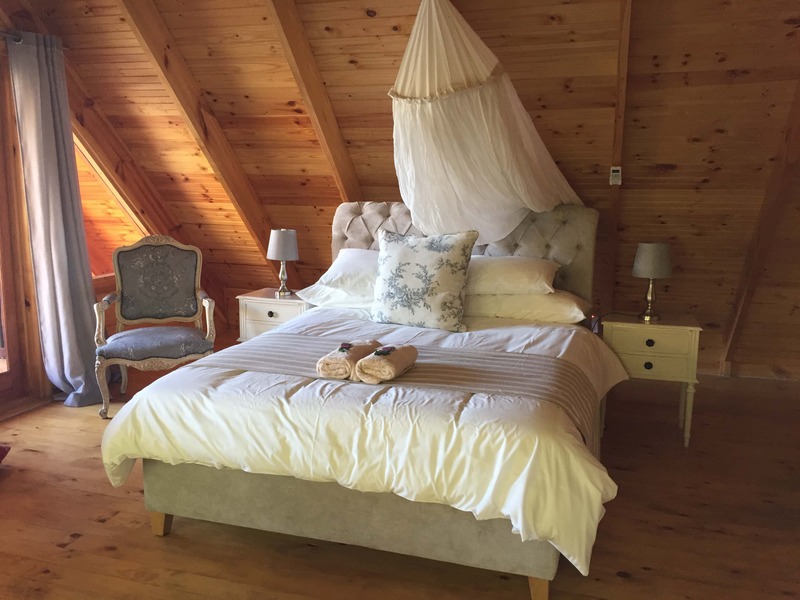 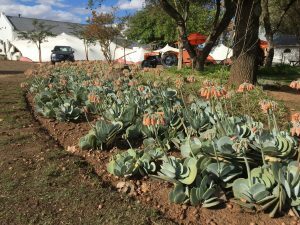 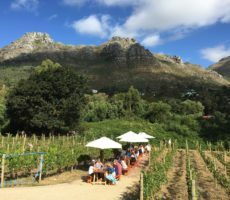 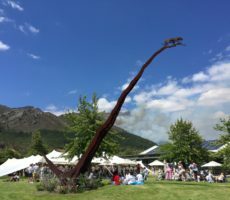 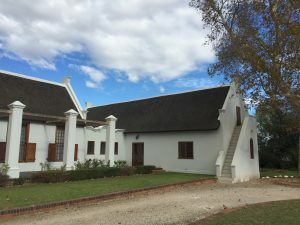 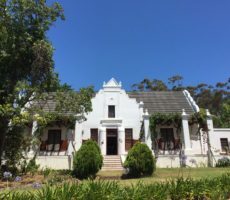 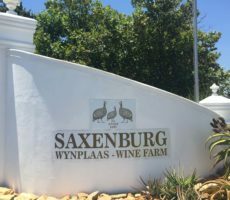 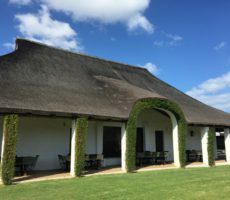 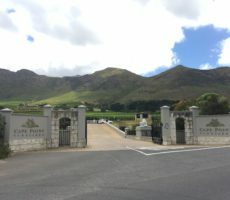 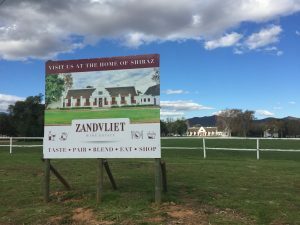 The large grassed field that was set aside for parking in front of the magnificent Cape Dutch homestead confirmed my predictions that Zandvliet would become increasingly popular as the weekend unfolds. 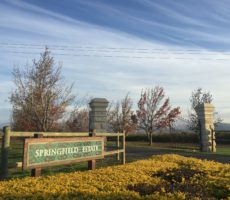 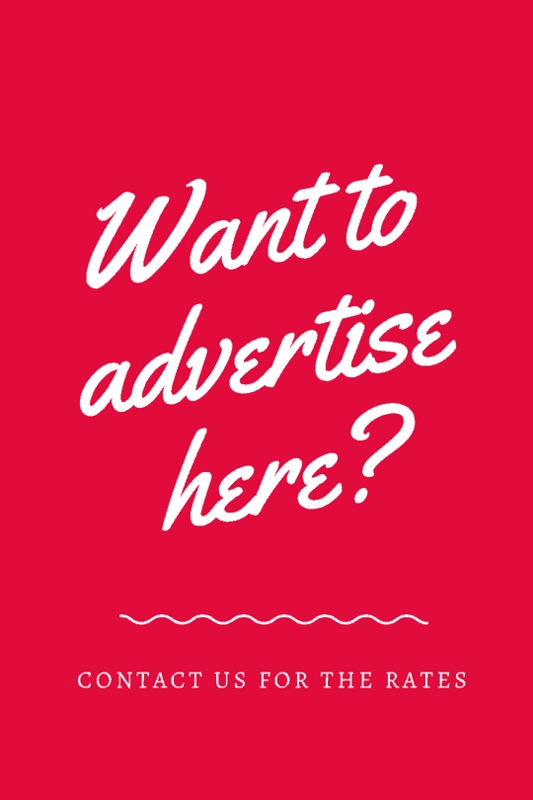 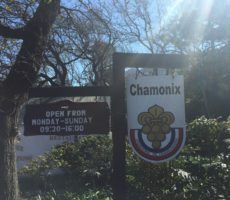 I heard later that more than 1,500 people will visit on Saturday. 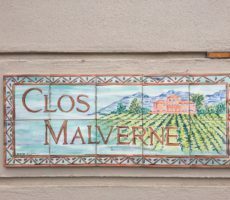 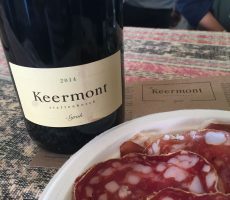 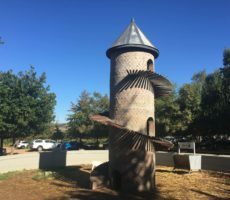 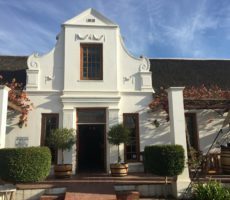 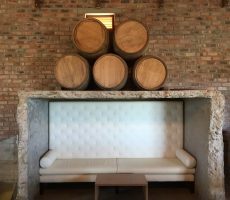 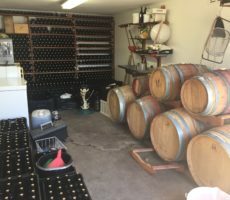 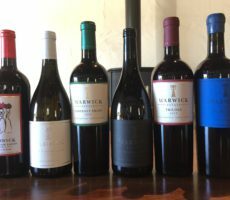 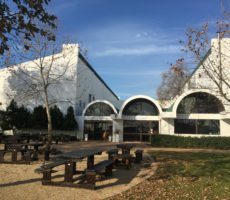 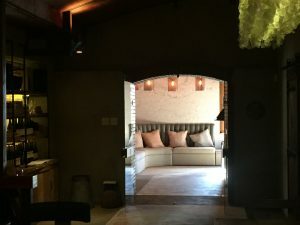 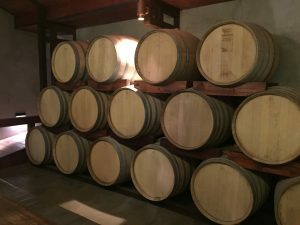 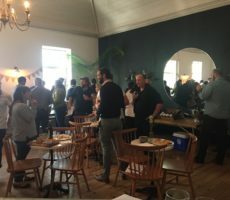 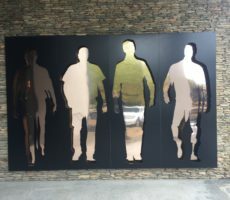 I made my way past the marquées and into the dimly lit Tasting Room, named the Kalkveld Lounge and opened in December 2016, that was lined on one side with barrels. 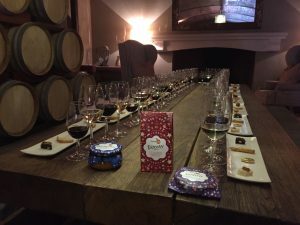 There was a long table with glasses full of wine and sweet pairings. 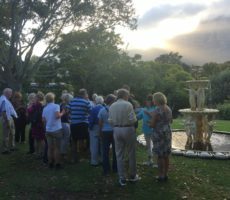 There were few people about and so I began taking photographs. 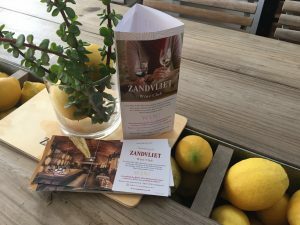 It was then I realised that this was set out for the Zandvliet and Citrus Synergy Pairing that was to take place at 3.00pm. 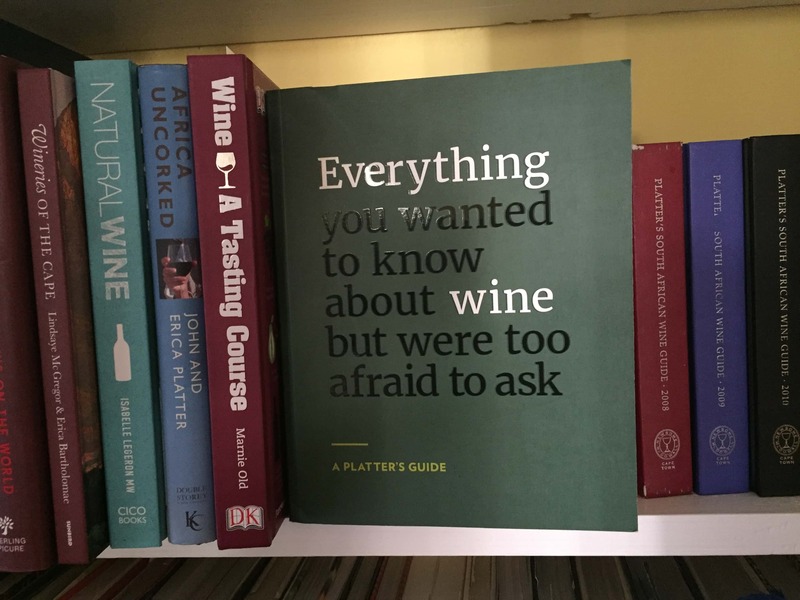 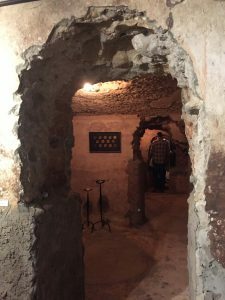 It explained too why there were so few festival-goers and I soon made my way downstairs to where there was a cellar tour before the wine blending. 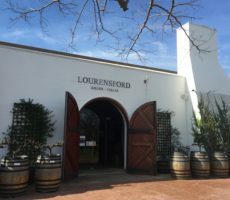 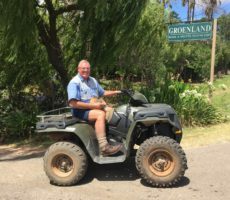 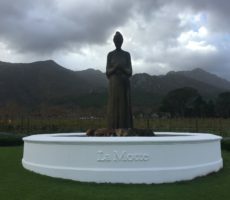 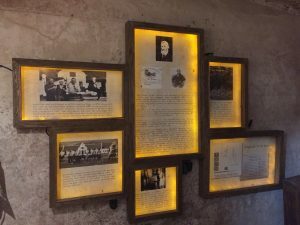 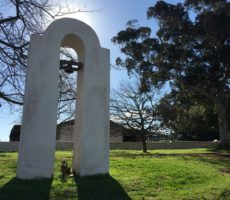 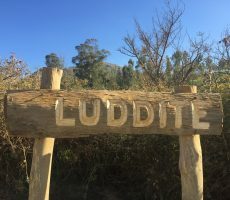 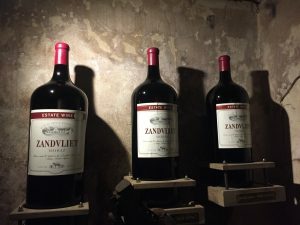 Leslie and Jacques were our guides who told us the history of the Zandvliet estate as we moved through the old cement tanks – built 120 years ago and last used for Muscat 60 years ago – whose walls were now lined with excellent historic displays. 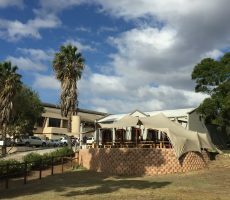 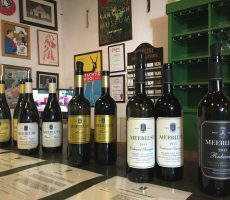 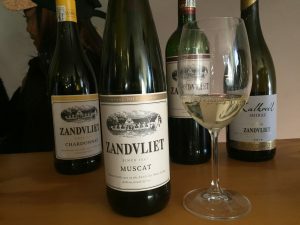 Muscat is still produced but nowadays Zandvliet brands itself as ‘the home of Shiraz’ from plantings that date back to the 1870s. 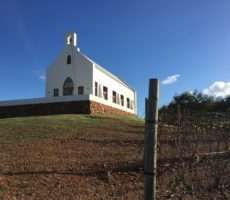 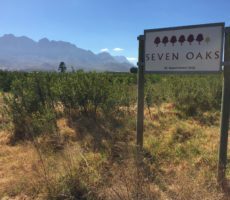 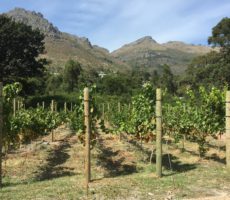 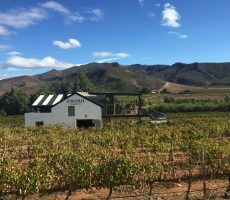 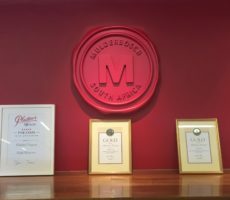 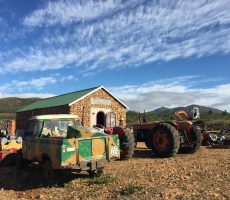 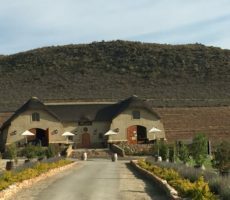 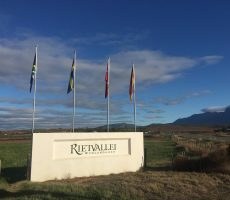 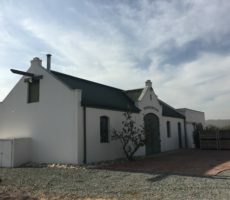 The Kalkveld Shiraz, named after the calcareous Karoo soils that contain red clay and pockets of limestone, is the flagship wine of the estate. 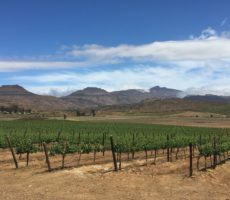 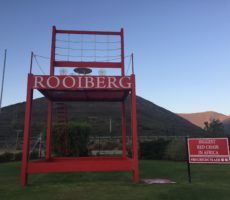 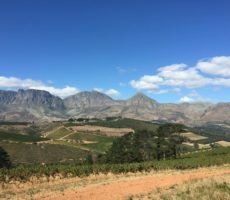 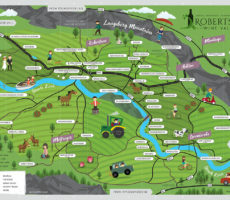 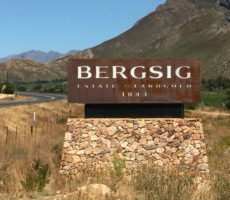 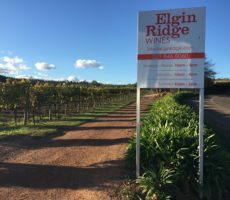 The 29 different soils on the estate, eroded over millennia from the surrounding Langeberg Mountains, bring acidity, concentrated flavours and minerality to the wines. 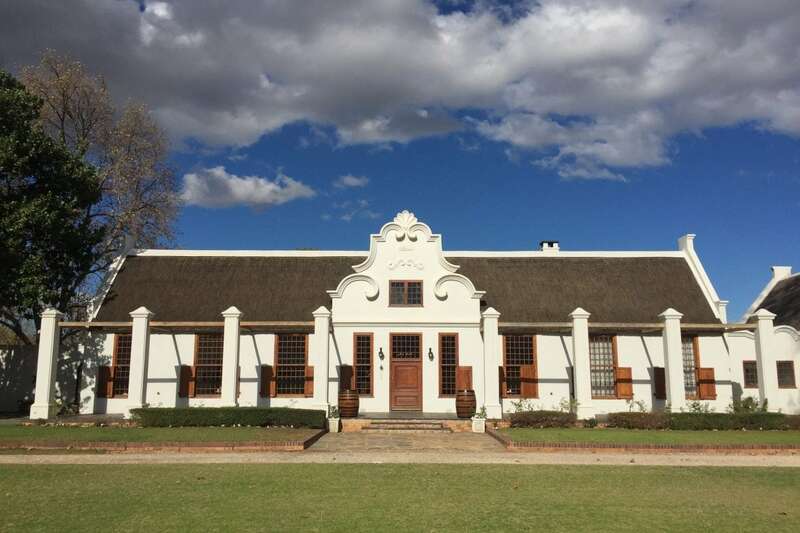 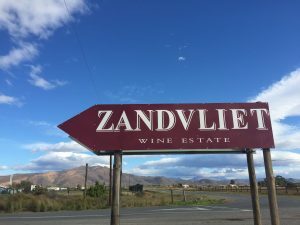 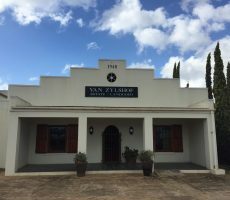 Zandvliet dates back 180 years, to 1838 when the 5,000 hectare farm was granted to a Van Zyl and a Balthazar Kloppers. 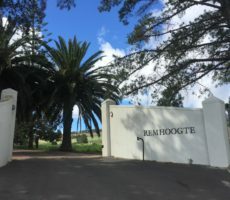 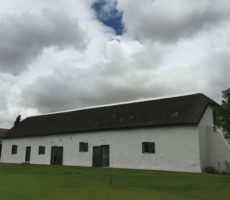 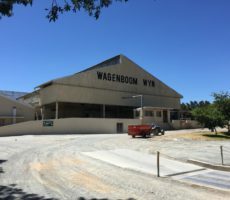 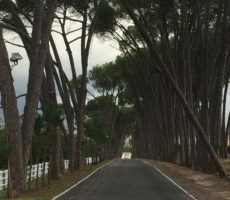 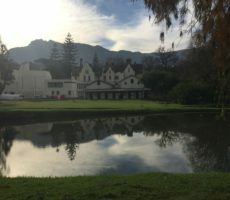 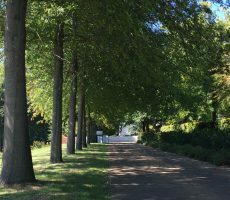 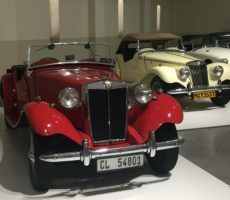 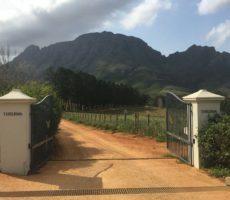 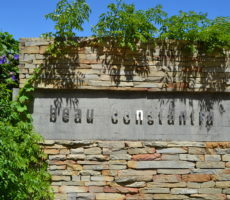 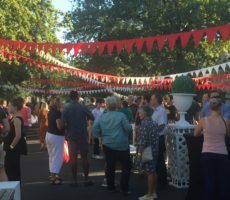 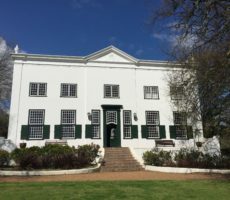 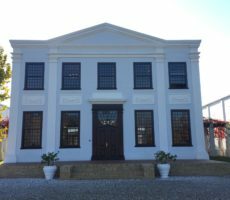 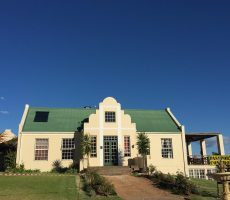 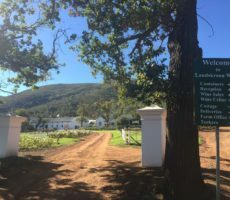 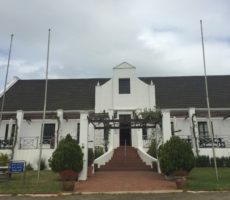 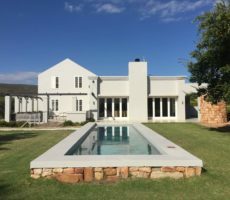 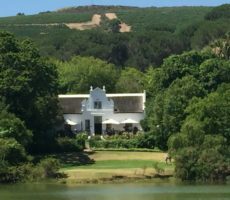 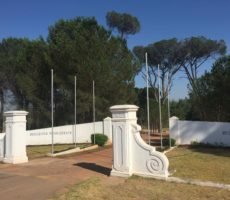 The De Wet family bought the property in 1867 and divided it into the estates that are now known as De Wetshof, Excelsior, Prospect and Zandvliet. 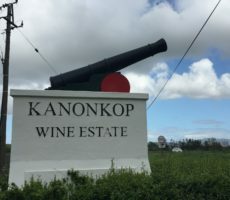 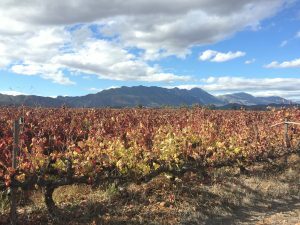 Wine could be made at the time but it could not be sold in the bottle due to the control of the KWV. 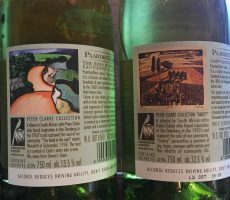 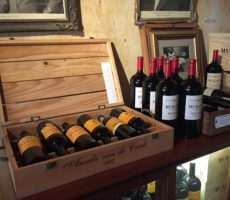 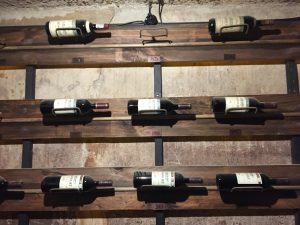 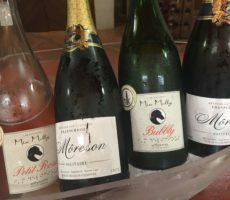 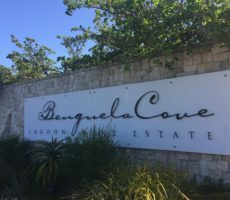 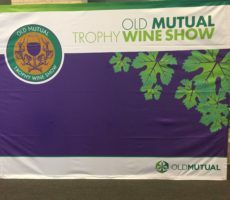 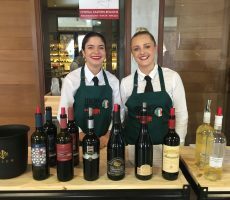 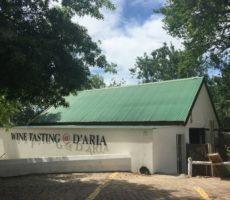 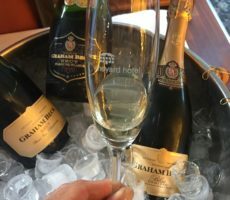 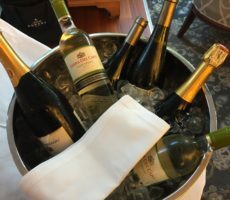 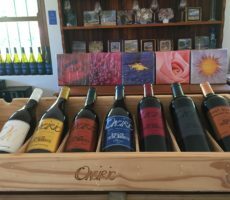 The first vintage was made in 1975 and the walls of the old cement tanks are lined with bottles of most of the old vintages (a 1983 bottle was given at last year’s Wacky Wine Weekend) together with old historic photographs and exhibits. 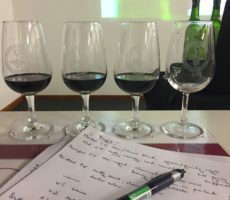 I sampled each wine individually before deciding on my blend composition. 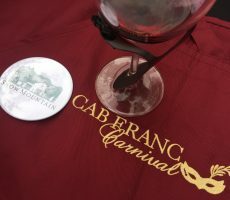 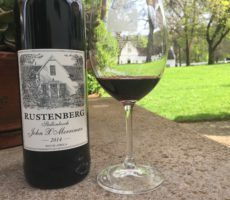 The Cabernet Sauvignon showed average red and dark fruit aromas on the nose, decent acidity and grippy but not aggressive tannins. 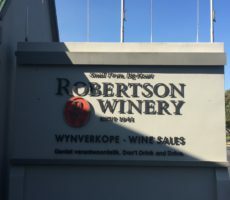 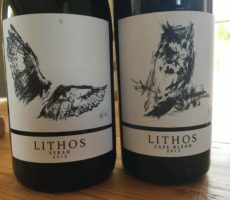 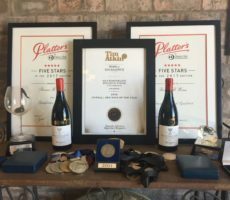 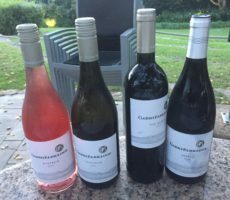 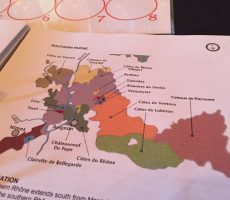 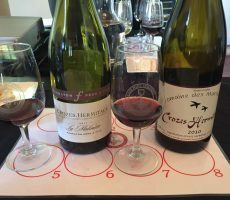 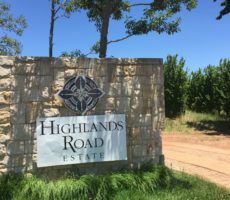 The Mourvèdre was denser with dark fruits, deep tannins for structure and a bright acidity, whilst the Shiraz was fruity with mild pepper spices and a smooth mouthfeel with good length. 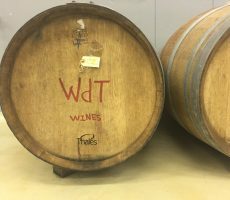 I decided that my wine would make the most of the Shiraz (81%) with structure from the Mourvèdre (11%) and fruits from the Cabernet Sauvignon (8%). 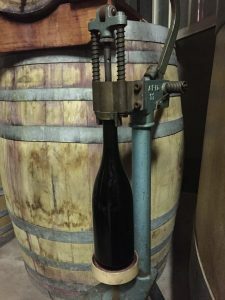 Time will tell as to how the wine will develop in the bottle. 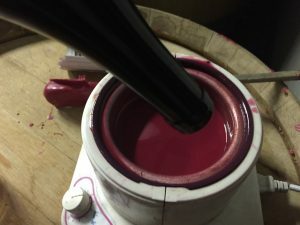 Once carefully measured, I filled my bottle and fitted the cork before labelling it and adding hot wax to seal the cork. 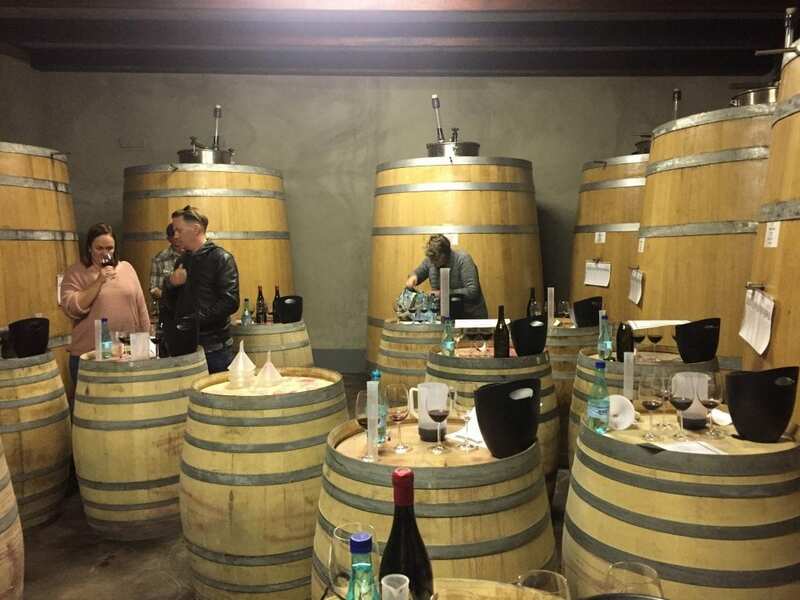 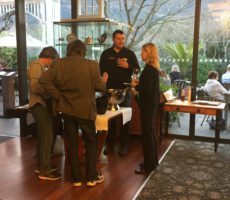 The blending done, I returned upstairs to sample a few wines before leaving. 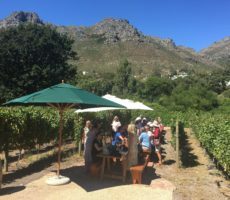 The Tasting Room was far busier than when I arrived. 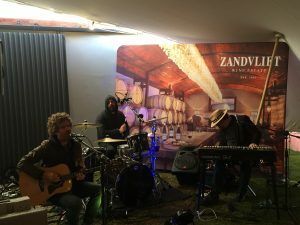 A band was playing and I recognised friends Gerald Clark and Simon Orange amongst the musicians. 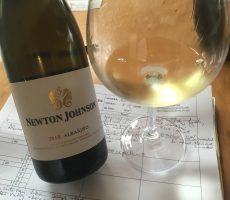 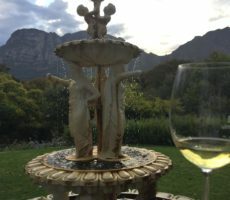 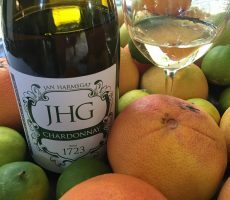 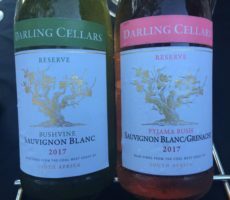 I tasted first the Chardonnay that had warm aromas of ripe lemon and yellow apple on the nose. 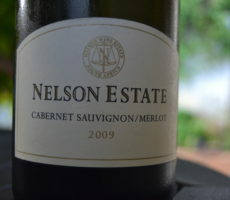 The wine had good balance and length with a mild, creamy texture. 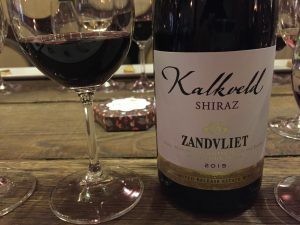 I picked out the flagship Kalkveld Shiraz to follow. 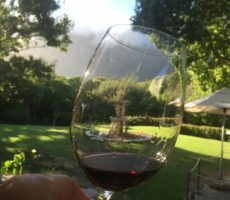 Shiraz purple showed to the full-bodied wine that had excellent complexity of currants, dark plum, bramble and spice notes. 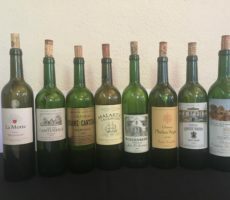 The palate was good too with fruits and spices in balance and rounded tannins that were not overpowering. 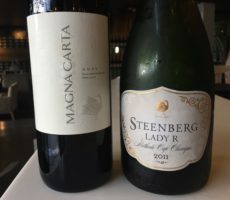 I ended with 2 wines. 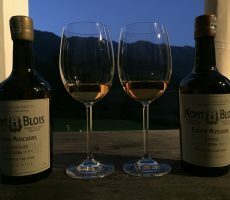 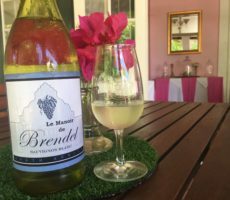 The first, a Natural Sweet Muscat de Frontignan, was predictably grapey and floral with citrus flavours of tangerine and orange. 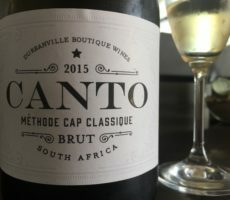 It was my favourite wine and I liked the smooth, ripe off-dry to medium sweet mouthfeel and 8% alcohol. 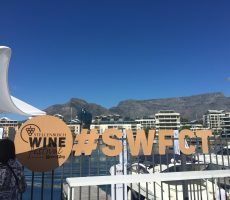 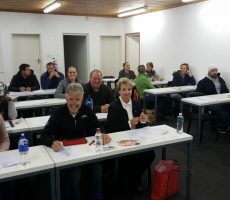 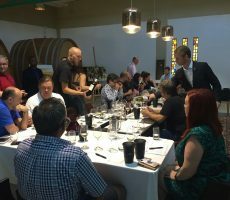 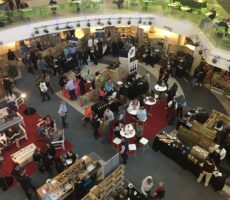 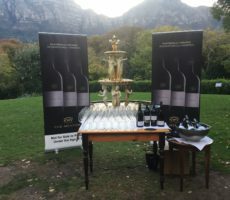 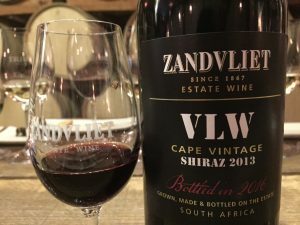 The Cape Vintage Port (or Vintage Liqueur Wine) made from Shiraz, was altogether more potent with warm spirit aromas from fortification to 17.5% alcohol. 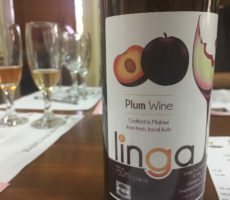 It was fruity and grapey with a lingering nutty aftertaste. 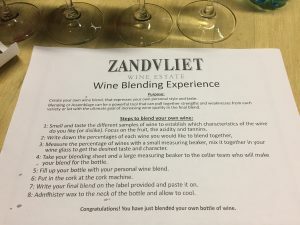 I recommend the Blending Experience to anyone who has not done it before. 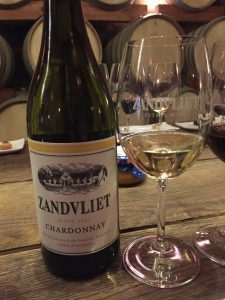 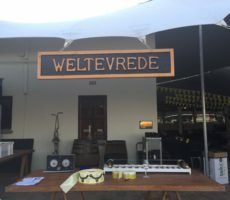 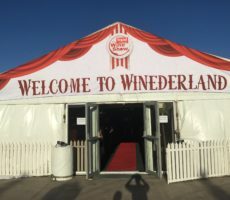 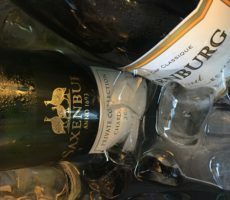 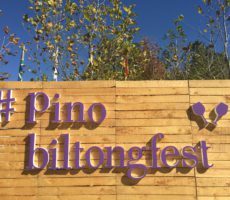 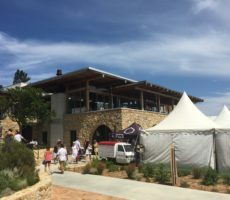 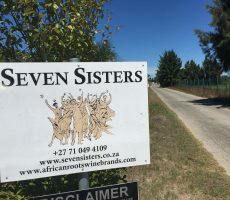 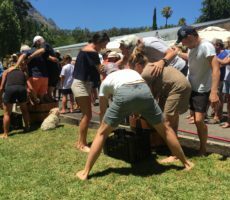 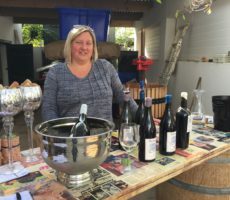 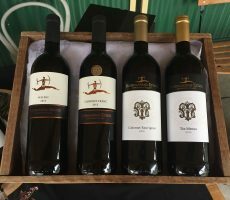 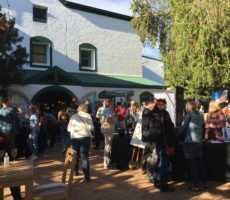 Zandvliet put on a good show and it was no wonder that it is popular Wacky Wine Weekend destination. 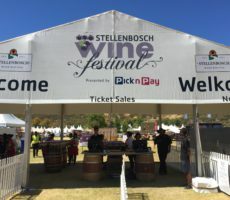 Be sure to go early if you attend next year. 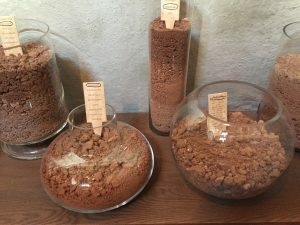 Meanwhile, I shall keep my best blend safely to enjoy when it has matured.